Bako National Park is a national park in Kuching Division, Sarawak, Malaysia. Established in 1957, it is the oldest national park in Sarawak. It covers an area of 27.27 square kilometres (10.53 sq mi) at the tip of the Muara Tebas peninsula at the mouth of the Bako and Kuching Rivers. It is approximately 40 kilometres (25 mi) by road from Kuching. Millions of years of erosion of the sandstone have created a coastline of steep cliffs, rocky headlands and stretches of white, sandy bays. Wave erosion at the base of the cliffs has carved many of the rocky headlands into fantastically shaped sea arches and seastacks with colored patterns formed by iron deposition.The most famous of them is shaped like a cobra's head which can be spotted on a boat ride from the headquarters or one of the beaches. 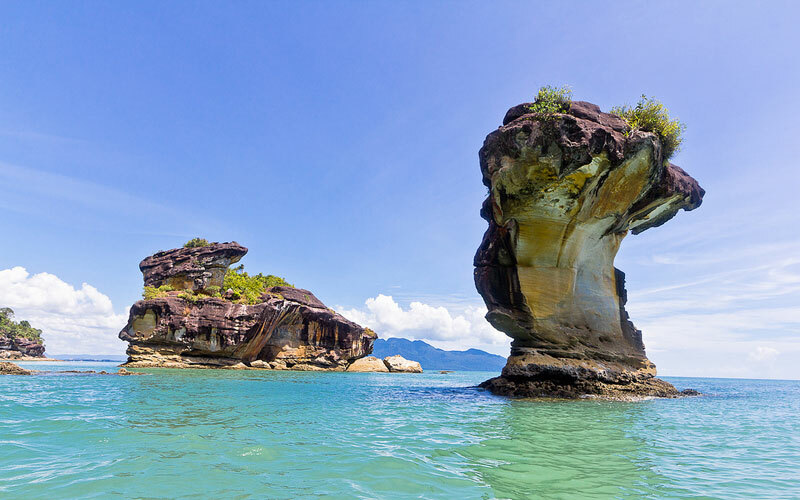 Some of these rock formations can be seen on entry to the Teluk Assam Beach, which fronts the park. The park can only be reached by a 20-minute boat ride from the village of Kampung Bako. It is often visited as a day-trip from Kuching, though accommodations (campground and forestry service bungalows) are available. Bako is one of the smallest national parks in Sarawak. However, it features multiple biomes (including rainforest), abundant wildlife, jungle streams and waterfalls, secluded beaches, and trekking trails. A network of 16 marked walking trails of different lengths allows visitors access. 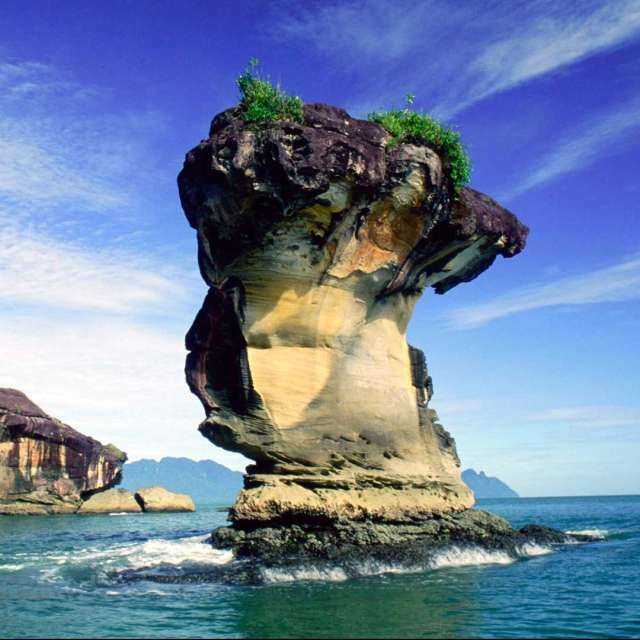 In addition, various beaches are accessible by boat from Kampung Bako or Teluk Assam, as well as a geologically interesting sea stack rock formation. The range of attractions and activities in a compact area have made Bako one of the most popular parks in Sarawak.